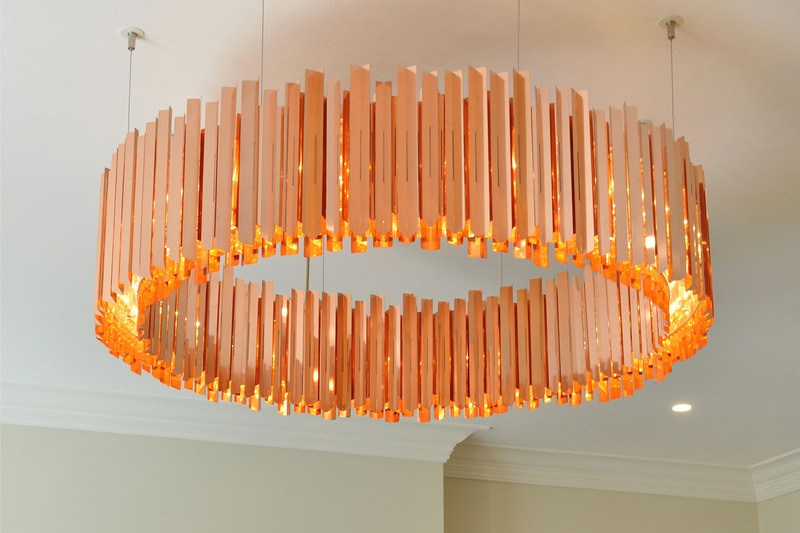 With its mirror-polished copper elements, the Facet Chandelier makes a stunning central feature. Producing myriad reflections, the luminaire creates a unique ambience in this residential drawing room. MaterialsMirror-polished copper, aluminium and acrylic.